I’ve had some pretty terrible ideas in my lifetime, but I gotta give credit where credit is due. I just solved the “accidentally leaving babies in a hot car until they die” epidemic we’re currently experiencing as a society. And it took me all of five minutes. I’m joking when I call it an epidemic. Only 40 or so children die from this each year. There are plenty more deadly accidents suffered by babies and young children. But I’m not joking when I say it’s something that should be easily fixed. When it comes to modern technology, you always want to think about an elaborate solution that includes motion sensors, cameras, electronics, etc. But I’m going with the super simple route this time. I say if you have children, you simply activate a setting in your car that causes the radio system to automatically play a three second baby crying sound every time you open the driver’s door. Radios can already do things like automatically adjust its volume depending on the presence of other noises and continue playing audio after the car has been shut off. It’s plenty capable of being programmed to emit this sound when you open the door. And if a child dies because the driver didn’t have that feature activated (or ignored the crying sound), lock ’em up for life. Only if you wanted your kid to die (like these people) would you choose not to activate it when you first get the car. OK, so there’s at least one product on the market that strives to do what my awesome invention would do, but it’s overly complex. Equally bad is the idea that I’ve heard that requires you to keep a stuffed animal in the backseat of the car and then move it to the front seat whenever your child gets in the car. That gives these same mindless people another opportunity to forget the thing that’s supposed to help them not forget the child. There are probably some very obvious tweaks to be made with my idea—such as having a way that the sound is only made when a child is actually in the car, rather than every time you open the door even when the child’s absent—but I’m more of a big picture guy. I get the ball rolling. Without the original idea, there’s nothing to tweak or perfect in the first place. 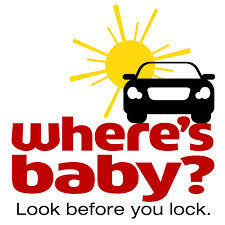 So when every new car from here on out has this nifty little security feature, you’ll know who to thank for saving your baby.